Ready to take the next step? Here’s what you need to know about our registration process. The sooner you register, the sooner you’ll know! And the more Voyage options you’ll have. *We can’t guarantee that you will get your first Voyage selection. The earlier you register the more options you’ll have! *We can’t guarantee that you will get your first Travel pick. The earlier you deposit the more options you’ll have! We've made registering for Gap Semester easy! Just fill out the registration form, then schedule a time for a follow up call with our team to confirm your registration. Submit your reservation deposit by October 31 to get $2,000 off tuition. Upon completion of the call, you will be approved for participation in Gap Semester at our discretion. Once approved for participation, you can confirm your registration by submitting the $1,000 registration deposit. The Gap Semester program costs $16,000. To reserve a space in the program, submit the $1000 reservation deposit. The remaining balance must be submitted by January 15 or you may sign up for a payment plan by that same date. Gap Semester fellows come from all types of socio-economic backgrounds, and we aim to ensure access for all of them. Consideration for tuition assistance starts with during the conversation we have with you by phone or by Skype after you submit your registration. 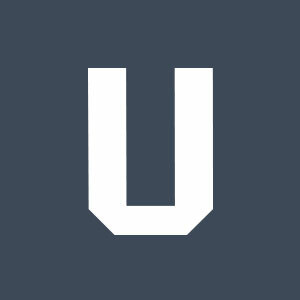 Simply submit a statement to hello@uncollege.org of no more than 250 words describing your financial circumstances including specific details where possible. Tuition assistance typically ranges from $500 to $2500. For those wishing to extend payments over time, UnCollege makes available a payment plan that begins January 15. Payments are $1,000 per month. The cost to utilize the payment plan is $500. To request a payment plan, email us at hello@uncollege.org. *Prices, terms, and conditions are subject to change, and if they do, we’ll always take care to notify our community as far in advance as possible. *In the event you decide to discontinue the program after the Gap Semester has begun, see our FAQ for refund information.